Kids love dinosaurs. 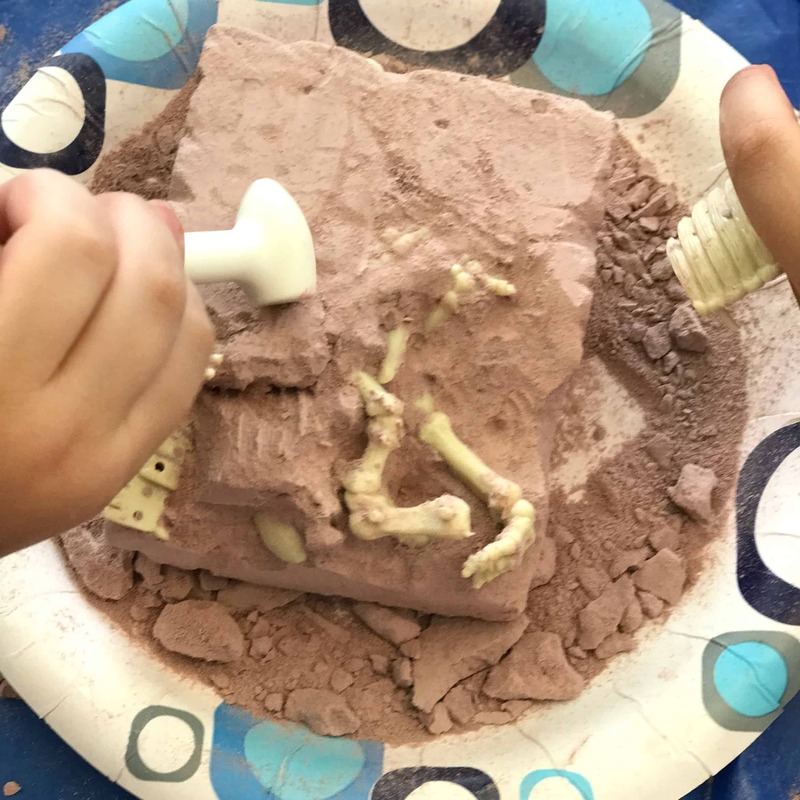 Getting to be a paleontologist for a day is such a memorable experience for them! 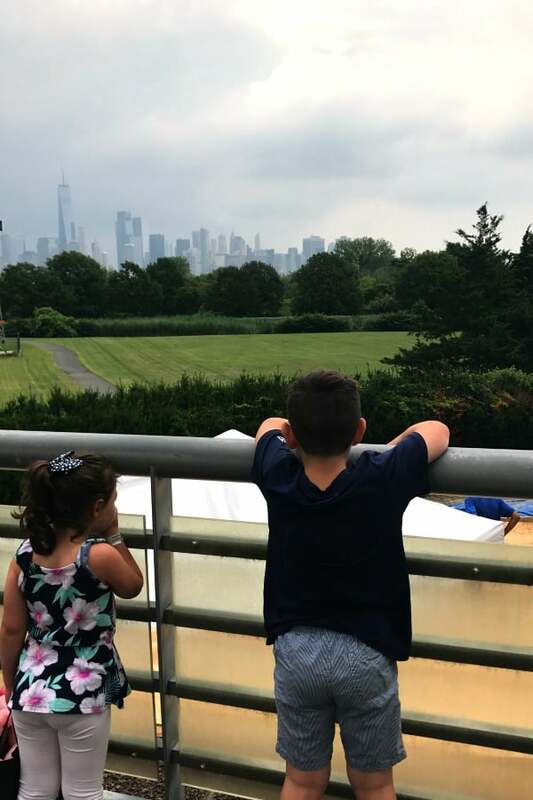 We recently had the opportunity to check out the new Dino Dig at the Liberty Science Center (which just happens to overlook the beautiful New York City skyline!) and it was too much fun! 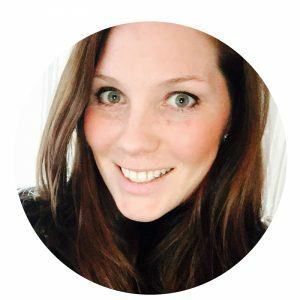 Want a chance to check it out too? 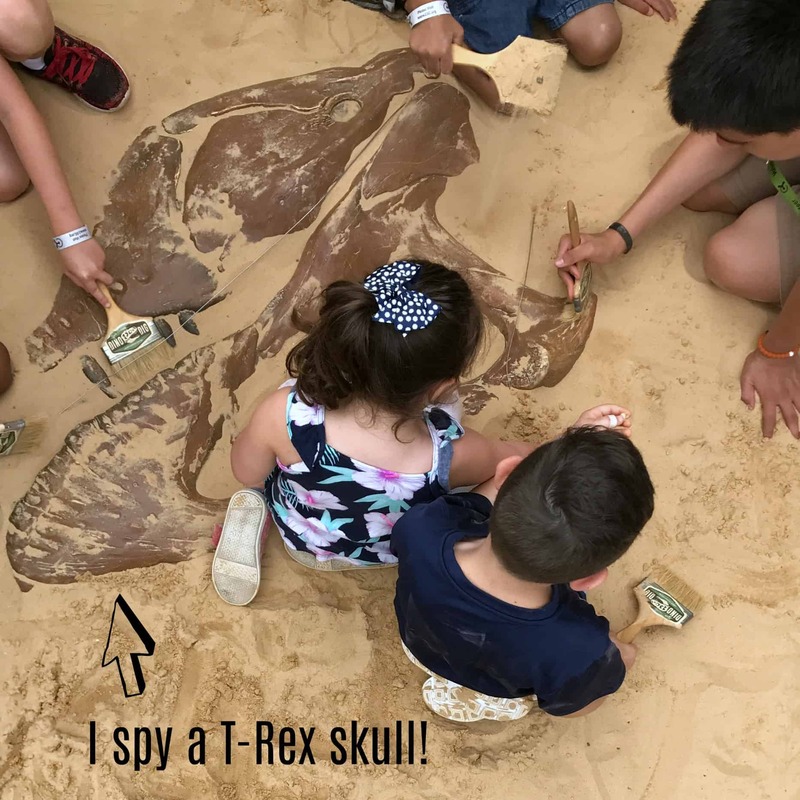 Enter the giveaway at the bottom of this post for a 4 pack of tickets and your little ones can be paleontologists for the day too! Plant-eating dinosaurs had beaks, meat-eating dinosaurs had sharp teeth, my kids can’t stop reminding me of this! 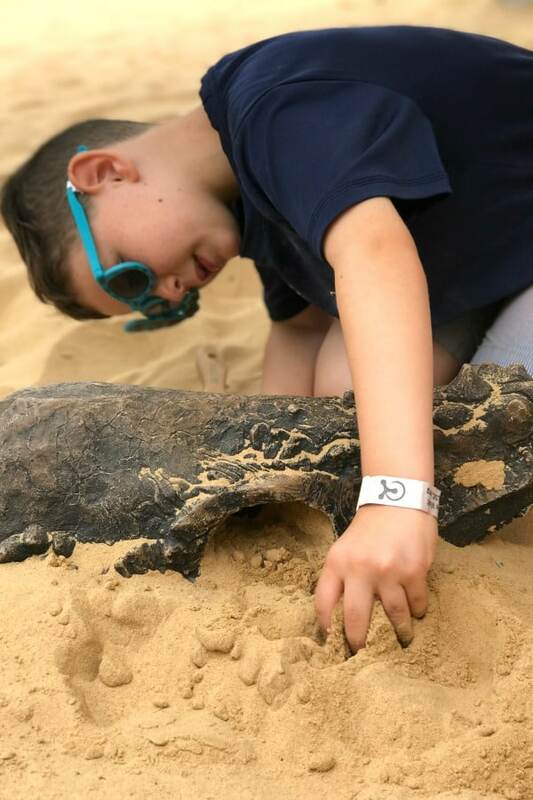 Check out some of the Dino Dig fun below! Check out view from the Dino Dig! 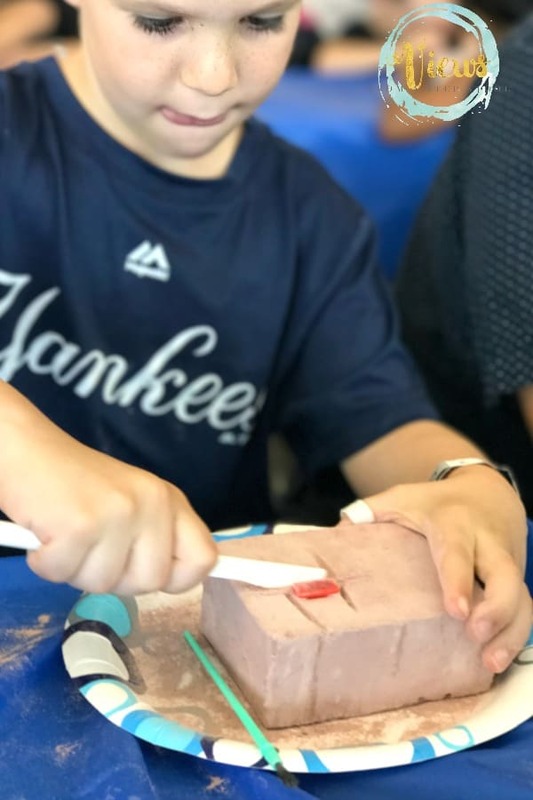 The Liberty Science Center provided us with the opportunity to do a little indoor fossil digging before entering the outdoor Dino Dig. This was so much fun, I know I was more than happy to help my little ones out! Get your own kit like this to do at home here! 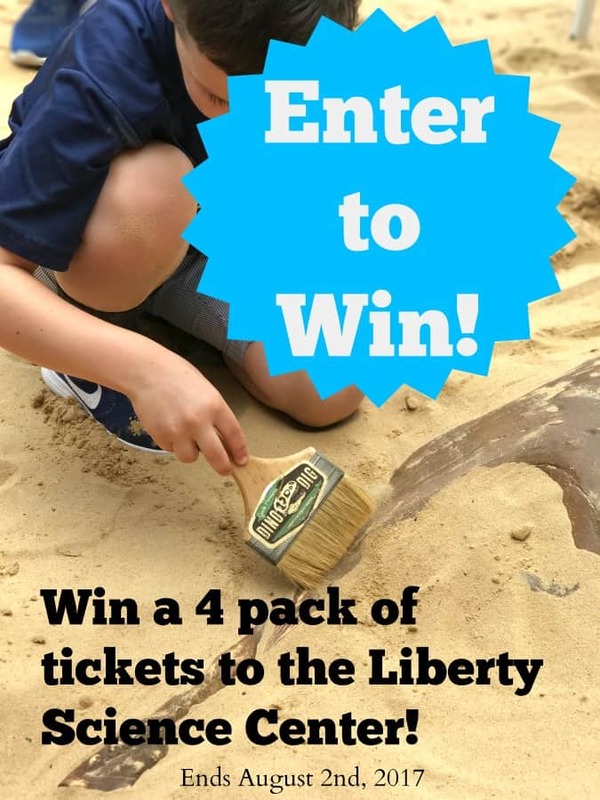 Enter to Win a 4 Pack of Tickets to the Liberty Science Center! 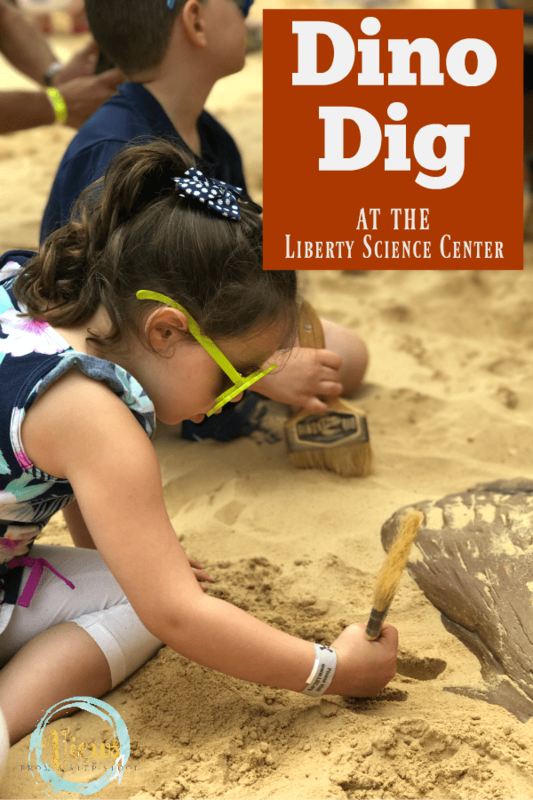 The Dino Dig is open until September 2nd, 2017. Enter below to win your tickets to the Liberty Science Center. 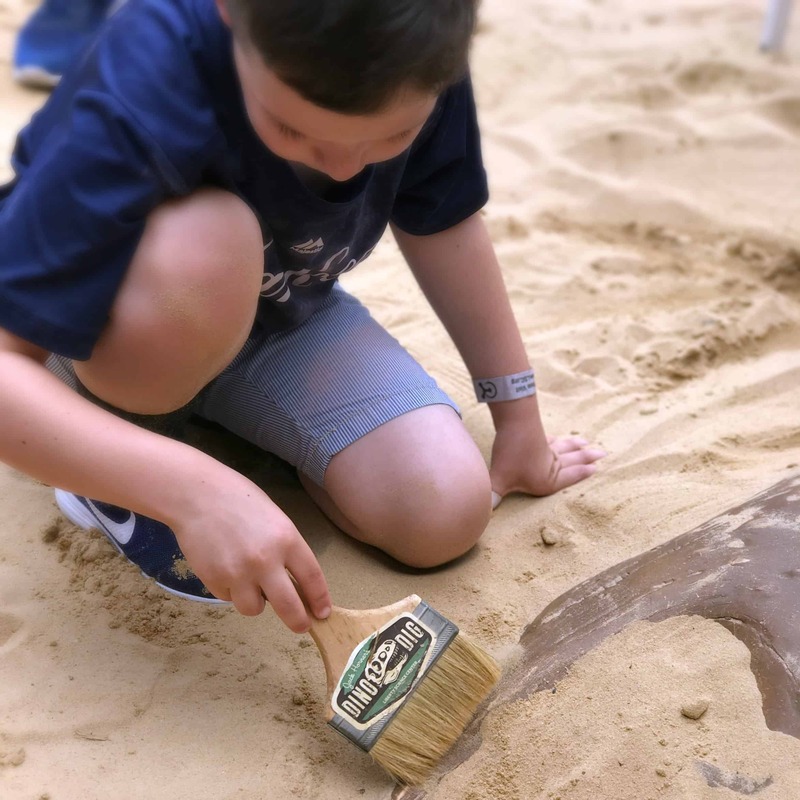 If you choose to use them after the Dino Dig is closed for the year, no worries! LSC has tons of super cool exhibits you won’t want to miss! Disclaimer: I received payment and complimentary admission to the LSC in return for this post. All opinion expressed are my own. I would take my 2 year old daughter! she would love it! I was looking for something to do for my son’s birthday. This sounds perfect! Aw I love this!! Good luck!